The five-week partial federal government shutdown has raised serious questions about whether oil exploration in the Arctic National Wildlife Refuge in Alaska can be conducted this winter as originally planned, or whether it should be delayed for a year. Seismic surveyor SAEexploration is working with federal agencies to salvage what it can of the season, proposing a scaled-back plan compared to its original, ambitious proposal it originally wanted to launch in December in the 1.6-million acre coastal plain, officials said this week. The work is dependent on snow and ice conditions required to protect the tundra and support the giant seismic rigs that crawl across the region on rubber tracks. Those conditions often melt away in mid May. Because of regulatory steps that must be taken before the shoot can occur, including a required a 30-day comment period, the work now cannot begun until mid-March even if things move “at warp speed," said Joe Balash, assistant secretary of Interior for land and minerals management, on Thursday. “Time is still very tight even for (a limited program),” said Balash. The comment period would be triggered by proposed incidental-take regulations from the U.S. Fish and Wildlife Service to protect polar bears denning in snow caves. The proposed regulations and related analysis were submitted to be published in the federal register just before the partial government shutdown began on Dec. 22, said Andrea Medeiros, a Fish and Wildlife spokeswoman in Alaska. “The regulations did not publish due to the shutdown,” she said, in an email. After the comment period, the agency will then need time to review the comments and issue a final decision, Balash said. SAExploration is working with the FWS and the Bureau of Land Management to see what steps can be taken to allow a seismic shoot this winter that’s smaller than the 1,200-square-mile program the company originally sought to conduct, said Jeff Hastings, chief executive of SAExploration, on Thursday. 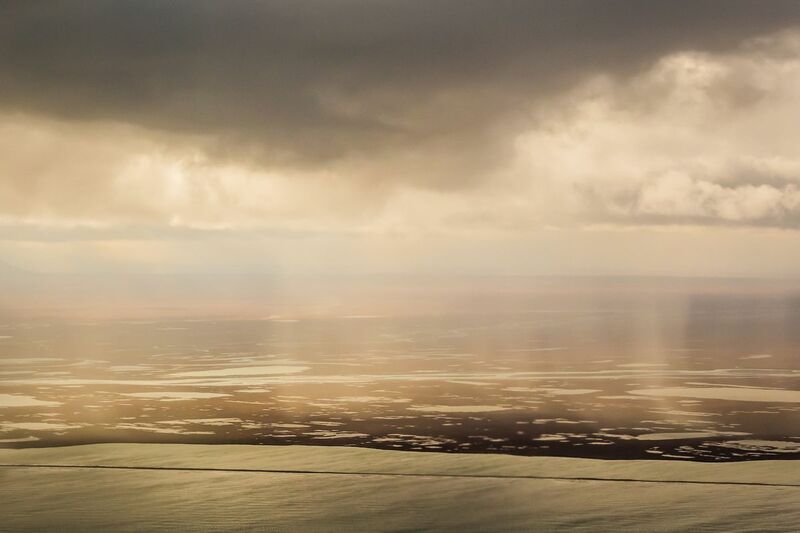 The company, working with two Alaska Native corporations, applied this spring to conduct the first seismic survey in ANWR in more than three decades, after Congress in late 2017 ordered the federal government to hold lease sales in the coastal plain. Officials with BLM hope to hold the lease sale, allowing oil companies to bid on land for drilling, late this year. The lease sale is not dependent on the seismic shoot taking place. Many Alaskans, hoping for a large oil discovery, support drilling in the refuge and it’s long been a top priority of Alaska state and federal officials. Others, concerned about the impacts to sensitive wildlife and increased greenhouse gasses tied to more oil production, oppose the idea. President Donald Trump has said opening ANWR to drilling was a top Republican accomplishment. Hastings told a reporter in December, shortly after the shutdown began, that every day lost during the closure was another day lost of data-gathering. “I haven’t anything to be angry about,” Hastings said on Thursday, referring to the delay. “It is what it is." SAExploration has done a pretty good job of working with FWS, said Balash. When it comes to polar bears, Interior wants to avoid work that puts the animals at risk of harassment, and especially at risk of injury or worse, he said. The FWS draft regulations need to be reworked before a public comment period can begin, at the very least so dates can be updated, Balash said. The draft in December called for the company to do critical work in January, including employing forward-looking infrared systems, known as FLIR, to detect heat from denning polar bears in order to avoid those areas, Balash said. The BLM has done its work to prepare for seismic activity this winter, and is waiting on the U.S. Fish and Wildlife Service, he said. A question to the Fish and Wildlife Service on Thursday to understand why the draft regulations did not publish during the shutdown went unanswered. "When we have received all the required information and completed our analysis, we will make a determination on whether we are able to issue an incidental take regulation for disturbance to polar bears and may submit a federal-register notice for public comment accordingly,” Shire said.